Majorcan Jews belong to the Sephardic (Spanish) division of world Jews. The name of the island is Majorca in Spanish, Mallorca in Catalan (in whose orbit historically it fell). In 2011, a Rabbinical court recognized the Majorcan Chuetas and all their genealogically related families as Jews. 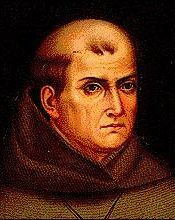 It is possible that the Franciscan Majorcan Junipero Serra who founded California’s Spanish mission system was Jewish (Converso), as was probably the family of Christopher Columbus. DNA Consultants is fortunate to have population data on Majorcan Jews. Here is a description, along with some links on Majorca’s history and people. The Majorcan – Chueta (also spelled Mallorcan and Xueta, respectively) population data represent DNA samples from 102 unrelated Chuetan (Jewish) individuals on Majorca (Majorca) — one of the Balearic Islands (Balearic Islands) in the Mediterranean Sea, which mark the easternmost part of the Kingdom of Spain, the nation’s official title (Spain). Samples were obtained by the Genetics Laboratory of the Biology Dept. at the University of the Balearic Islands. Source publication: Genetic Variability at Nine STR Loci in the Chueta (Majorcan Jews) and the Balearic Populations Investigated by a Single Multiplex Reaction, IJLM, 2000, p263-267.